Molly and Bill hitched to the disc. 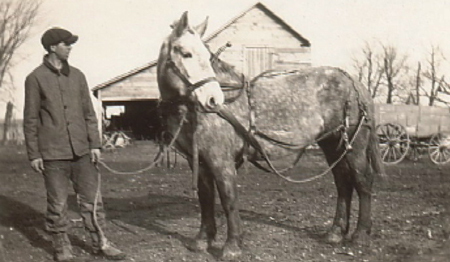 Dad's ready to head out to the field, 1922. Dad and Bess, 1928. The Great Depression Era. 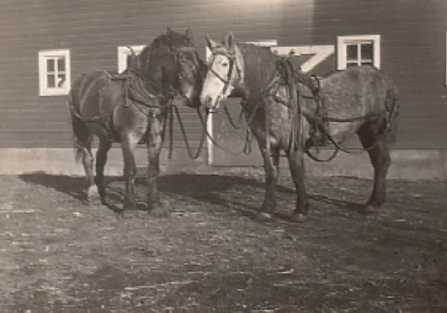 Barney and Bess after work, standing in front of the barn ~ 1928. 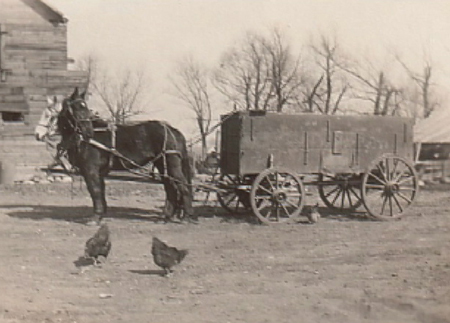 Daisy and Bess hitched to the wagon, 1932. 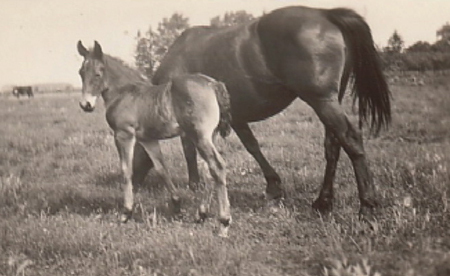 Daisy and her foal, Decko. 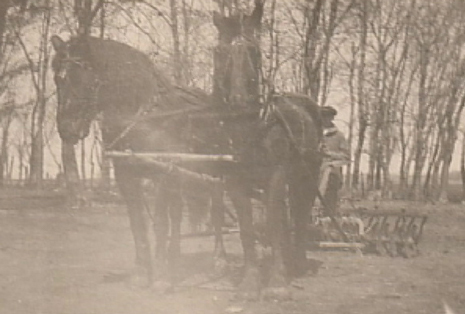 Raising work horses was part of the farming income during The Great Depression Era. 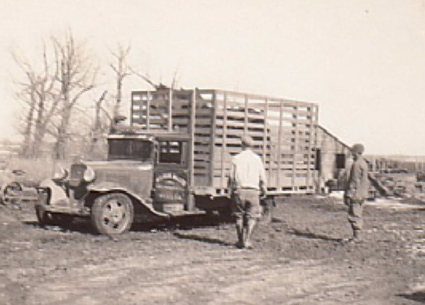 Dad (on the right) watching his horses loaded in the buyer's truck. 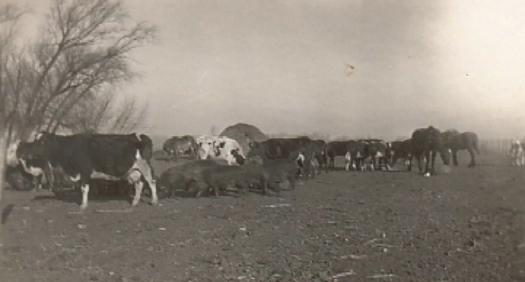 His purebred Duroc pigs, dairy and beef cattle, and the working horses live happily together ~ great parasite control. 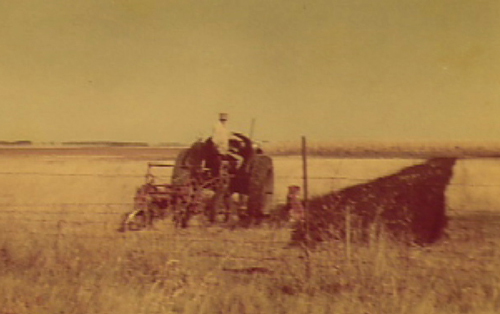 Dad plowing with Rex following along. Where Dad went, Rex went. 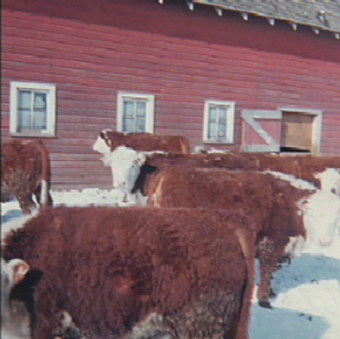 Dad's Herefords. 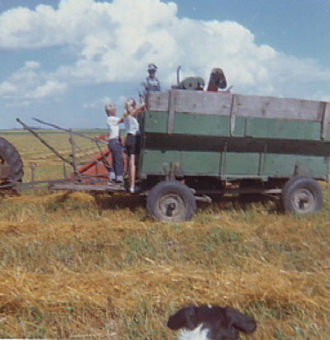 1960's and '70's.